Thank you so much. I appreciate the extra help. I have a Master-Hooper for my Brother Quattro and just love it! This one is a Christmas gift for a good friend. I just received the Master Hooper and I used it immediately. I love it, love it. I also have a Snap Hoop Monster and it works great with your hooper. I am very happy and ready to recommend it to a friend of mine who lives in Orlando. I think she has a Viking. I thank you very much for everything including the pen which is also helpful with the screen in the machine. You are very professional but at the same time very friendly. A friend of mine, Cyndi, lent me her Master Hooper to try out. Looking at the price, I couldn’t imagine that it was worth it. BUT boy was I wrong! I highly recommend this device for ANY embroiderer. It is amazing how much easier it is to hoop designs and the accuracy it gives you it truly awesome. Thank you for such a great product….AND your customer service is equally awesome! hoops. You were quick to send me a replacement bracket that was bent so I could not properly use it for hooping. 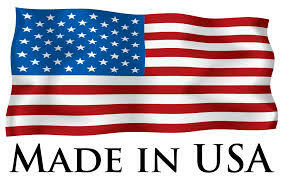 Your lifetime guarantee is something that most companies do not do anymore, nor are their products made in the USA like yours is. I teach Bernina owner’s classes at Meissner’s Sewing in Santa Rosa, CA and will be demonstrating the Bernina Master Hooper during my embroidery classes. I will also recommend the Babylock/Brother version to those who would like to use it. The Master-Hooper that I have received is fantastic, no more slipping when hooping material! I tried my son's Master-Hooper for his Bernina 880 and was sold immediately. While working great, the Hooper has sturdy construction. Sure appreciate your enthusiasm in Bernina and more particularly the help you gave me. Hope you are safe and thank you for helping me with my Bernina. I LOVE LOVE LOVE my Pfaff Master-Hooper. Please let me know when the Babylock Master-Hoopr is available as I have both Pfaff and Babylock embroidery machines. Before you read my email I must apologise, I am wrote this soon after I got my Master Hooper but when I was just clearing my phone I saw this draft that had not finished sending. Since writing I have used and used how did I manage without it. Hi just wanted to you know my master hooper arrived safe, just potty they charge me important and handling charge buts the UK for you. I have to say I am very pleased with it and it will make my life much easier as hooping can be very challenging at times especially if you have disabilities. Thanks watching a Annie’s class Christine Conner on Edge to Edge Quilting. Hello Gennell, I received my Master Hooper today and absolutely love it. Thanks for the lovely gift. Thank you for visiting with me and being so agreeable about helping me with the annoying problem I am having. This is the bracket that "blinds up". I appreciate you being so willing to help and take care of my problem. The Master-Hooper has been a life-saver in the hooping process and I thank you for making it available to we who embroider. Several of my friends have the hooper and we all love it. I had know about it, but thought it was much more expensive than for what you are selling it. uses an embroidery machine should have one of these! In the video she suggest using your Master-Hooper. I also have watched the YouTube video about the Hooper. My biggest problem is hooping, so as I said, I’m very excited to get my Master-Hooper. It was nice visiting you. Thanks for the tip on the pencil grips. I am just letting you know that I collected the Master-Hooper from the Post Office today and , after I have been away for a few days, I will be going through Christine Conner's Edge -to -Edge Quilting tutorial and will be putting the Master-Hooper to good use. I will contact you when I have had some experience in using it to let you know how I have got on- although I am sure that all will go well . I attached my largest hoop to it and the weight of the Master-Hooper (combined with the slip-resistant backing) is such that I can see what an asset it will be as it is most unlikely to move whilst I place part of a quilt in a hoop. I think that hooping is indeed going to be a much happier experience in the future! Many thanks for your friendly attention to my order. I have received my Master-Hooper here in the UK. I have to say, it is amazing. Arrived into the uk in less than a week, but was held up in customs for a further week, but it was well worth the wait. Hi Gennell, I just received my Masterhooper and I am happy. You provided me with wonderful service and I thank you so much. May you have much success. The uses for my Master-Hooper never end! Makes a great iPad stands so I can watch Netflix while I sew. The Master-Hooper arrived, safe and sound, and was put to good use yesterday. The rock solid base makes hooping much easier - I should have invested years ago!! That package has taken a fast flight because I didn't expect it that soon. I am not at home this week but will pick it up at the postoffice on monday. Thanks again for taking good care of your customers. It was nice to deal with you. Now I am thrilled to get my package. My Master Hooper arrived yesterday afternoon and I absolutely LOVE, LOVE, LOVE it! I'm currently working on an embroidery border pattern that's 4"wx6"L for a quilt that's got the top, batting and backing all sandwiched. I need to keep moving the pattern and aligning it with the previously stitched out pattern to make what appears to be a continuous pattern. until I could lock down the hoop. Upon using the Master Hooper the 1st time, it took all of about 5 minutes and I was perfectly aligned on the 1st try!!! It's definitely worth it's weight in gold. I can already tell that when I get better at it, it's going to take even less time. Thank you sooooooo much for developing and manufacturing this product. Everyone who owns an Embroidery Machine should own one of these fabulous tools. They won't regret it!! P.S. You can also add to my comments that I felt your Customer Service and "Personal" attention to my email questions and concerns were handled in an extremely professional manner. Thank you, again! I received the new bracket and screws late yesterday afternoon. I had spent a day in Tucson at a sewing class and then two volleyball games. I was going to e-mail you last night but fell asleep. I got everything assembled this morning, it all fits perfectly and the hoop goes on like a dream. I am so spoiled having used the Hooper everyday, I was lost without it. Many, many thanks to you for your prompt and so very courteous service. As I told you, I tell everybody I meet that the Hooper has been the best sewing tool I have ever purchased. I will be glad to write a testimonial site. Thanks again! 🙏 and have a great day!! I just got my master-hooper in the mail yesterday, and I love it. What a wonderfully inspired idea. I have tried it out, and it is going to help me so much. I am also impressed with the quality, it is definitely a quality product. Just wanted to let you know how happy I am with it. "We just received in the Master-Hooper! Wow, what a great new product. If you are having a hard time rehooping, this will help hold your hoops with ease and it doesn't take up a lot of space." Thank you, Master-Hooper for your prompt courteous service!! I love the Master Hooper and have 1 for my Bernina and now another for my Viking. They make hooping much less frustrating, more enjoyable, and more accurate. I use a laser light that shows a vertical line and horizontal line intersecting for even more fussiness. I recommend your company and product to my sewing friends. I’ll let you know how Don fairs in replacing the bracket. Thanks again. It has already proved to be a worthy addition to my sewing room. I am going to visit the Bernina Learning Center in London next month for some lessons on my new 780 so will be sure to mention the hooper whilst I am there. ﻿2013“My Jumbo Master-Hooper for my Bernina 830 is just spectacular. It is by far the best hooping aide I've ever seen. It is so much easier to hoop with the Master-Hooper because you aren't chasing your hoop around the table! I have used my Master-Hooper on my Jumbo Hoop, Mega Hoop, Large Oval Hoop, and my Medium Hoop. The Master-Hooper works with all of them! I knew I loved my Master-Hooper but when I got a new Brother Quattro2 Innov-is 6700D and my Master-Hooper did not fit my new machine hoops, I was absolutely lost. I could not wait to get my new one. Thanks Gennell for all your help. I just cannot embroider without my Master-Hooper. I received my Master-Hooper a couple of days ago. I have been so busy did not even find the time to try it out until tonight. I really thought I had my hooping down and was pretty good at it, but WOW! This made it 100% faster, better and SO much easier then I was hoping for. Thank you so much for what you have done for a group of Quilters that love to embroider too. My Master-Hooper arrived about a week ago in good condition. No problems with the shipping. "Using the Master-Hooper makes hooping a great experience and has reduced hooping time by ¾ of the time."